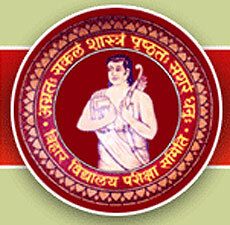 The Bihar School Examination Board has declared the result for Class 12th. The written board exams 2014 had started off in the month of February whereas practical examinations were held between February 25 to March 12. The students awaiting their Bihar 12th result 2014 can directly visit the official website of the Bihar State Board and check their result. On the homepage of the website, look for the link to Result of Intermediate/Class 12th. Keep your admit card handy as you will be asked to enter your board details such as roll number or school code. Once you have accurately filled in all the details, click on the "SUBMIT" Button. Just wait for a few seconds your Class 12th result will be displayed on the screen. You may also go to www.jagranjosh.com to check your intermediate scores instantly. You would require only three to five minutes to register yourself on the best education website of India. Then you can subscribe to our email service or SMS service to get your online scorecard either in your mailbox or registered phone number. Once you have got your report card online, either download the file or take out its printed copy and save it until the state board doesn't issue your original mark sheet and the passing certificate. Last year, the result for the students of the Science stream was declared on May 16, commerce stream result on May 23 and Arts stream result on May 28. In the comparison of 2013, more students sat for the examination in all three streams. Last year, around 90,000 had appeared for commerce exam whereas 362049 for Science. Similar to last year, girls students are expecting to outshine boys this year too. In 2013, 93.25% of the total girls appeared in Class 12th Bihar Board had passed whereas the pass percentage of the boys was 2 percent lesser than that. The teachers are expecting a good result overall. Maximum government-run and private schools across the state are affiliated to the Bihar School Examination Board. The exams are conducted among several towns, cities and villages of the Bihar state.